I noticed the new Assos tiburu Headband evo8 when I wanted to buy a new headband and had my eyes on the the Assos intermediate Headband S7. This new evo8 version is based upon the Assos intermediate Headband S7 and has some improvements over the previous model. In this article I’ll have a brief overview and share my first practical experiences with the Assos tiburu Headband evo8. The description above comes directly from the Assos tiburu Headband evo8 product page. If you compare the evo8 picture with the ones available for the Assos intermediate Headband S7, you can see that the new evo8 model is wider. According to the product description it is 2.5 cm., however the top of your head stays free, to cool down when riding. 🙂 The measurements of a size I Assos tiburu Headband evo8 are 11 cm wide by 21 cm tall. The fabric of the Assos tiburu Headband evo8 looks high quality and is very comfortable to wear. TheAssos tiburu Headband evo8 is thin enough to wear under my Giro Aeon helmet, but provides sufficient protection for wind on the forehead. The crown of your head can cool down. The Assos tiburu Headband evo8 is the latest addition to my collection of Assos cycling clothes. 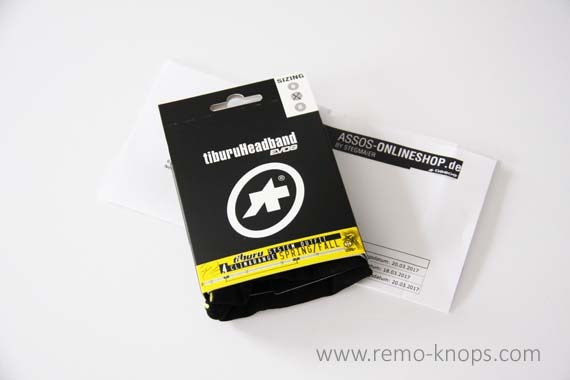 The price-point of € 25,– isn’t cheap but has the same pricing as the the Assos intermediate Headband S7. For the high quality Assos clothing the price point is reasonable. This cycling season I have been fighting two sinus-infections so I wanted a little more protection of my forehead. Assos has always been one of my preferred high quality cycling clothing brands. It started with their famous bib shorts and expanded with socks, overshoes and base-layers. 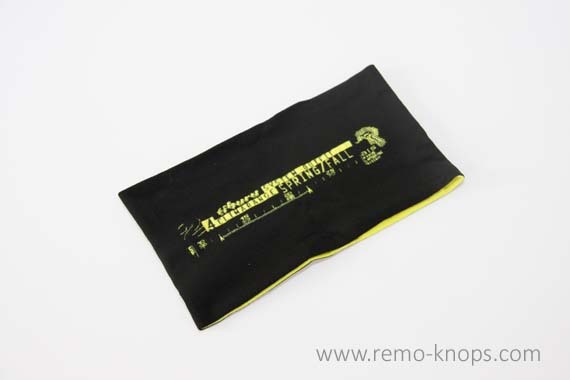 I’ve purchased the Assos tiburu Headband evo8 at a German Assos Onlineshop that shipped the item in a couple of days. Armin Stegmaier thanks for the excellent and fast service. Hey!, I found this information for you: "Assos tiburu Headband evo8 review". Here is the website link: https://www.remo-knops.com/6130/assos-tiburu-headband-evo8-review/. Thank you.